For most of us, China is a huge, relatively unknown country that lies thousands of miles away from the familiar environment of our own small country. We know it as a low-wage country and many of us believe that poverty and a lack of development still go hand in hand in China. However that situation is rapidly changing. No other country in the world has shown the extreme rate of economic growth achieved by China in recent decades. The country’s economy doubles in size every eight years. That has all kinds of knock-on effects. Growing prosperity has led to rapid urbanisation in China. And this development has created new challenges. Because all those urbanised areas, where millions of people live, produce enormous quantities of sewage. In response, the Chinese government is investing heavily in the infrastructure required to process all that sewage waste. So more and more sewer pipes are being installed under Chinese cities. Many tens of thousands of kilometres now. And all those sewer pipes require inspection and maintenance. A clear opportunity for companies like Rioned. Working from a base in China, preferably with a local partner, greatly improves your chances of success. And that has been an area of focus for Rioned's activities in China for a number of years now. Our collaboration with Beijing Readeast in China started in 2015 and has grown significantly year on year. They now act as Rioned's Chinese office. 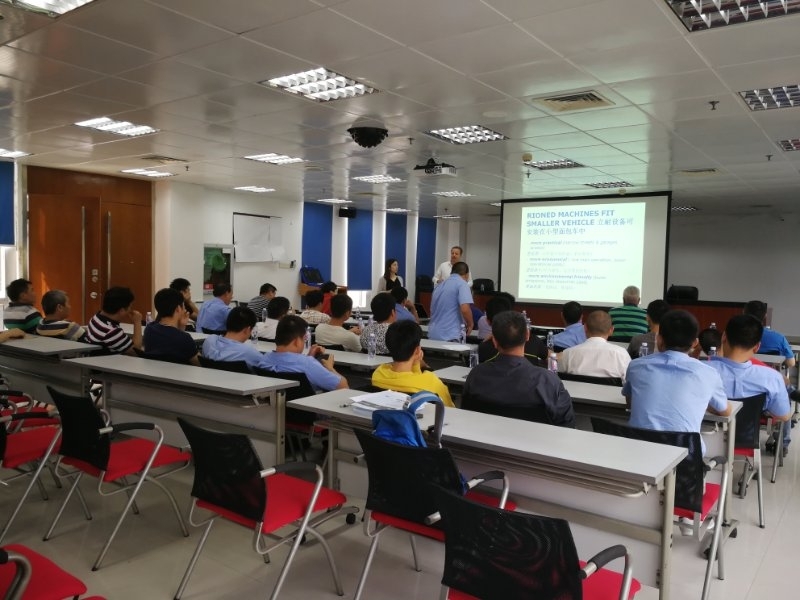 Since this collaboration started, wehave succeeded in setting up business relationships with many more Chinese companies that are now Rioned dealers. At present, these companies are mainly located in the eastern provinces of China. Both in the south and in the north. Because China is so large, there is a requirement for a large number of regional dealers who visit customers with a demonstration van. These demonstration vans play a key role in selling our products successfully. Product demonstrations convince local customers of the powerful capabilities, quality and user-friendliness of our compact machines. And the results are tangible. 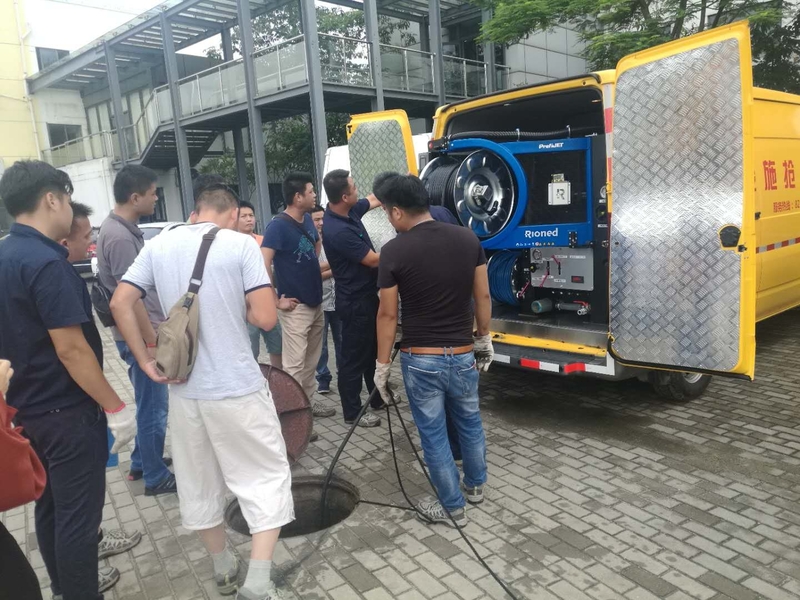 In Southeast China, for example, use of the demo van has already resulted in a large number of orders. We want to achieve the same level of success in other areas of China. So we are working hard to expand our network. Particularly in parts of China where we are not yet represented. 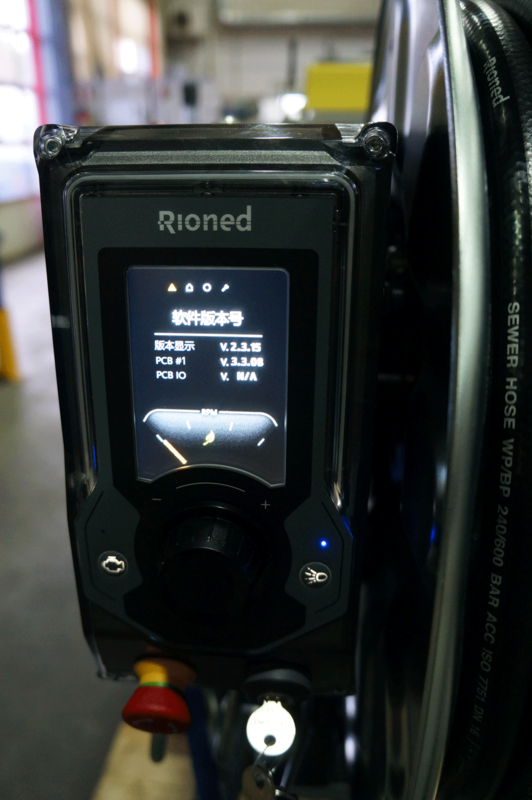 Rioned previously sold loose packs in China for installation in Chinese vans and trucks. Since we started using demo units, we increasingly supply our complete concept: powerful cleaning equipment built into a small, compact van. So far, we have mainly sold ProfiJets, some of which were equipped with a hot water option. A few of these machines have also been delivered in other parts of China. The potential for growth is huge. In order to boost and facilitate growth even further, we have now produced a Chinese version of eControl+. So every machine supplied with the eControl+ panel can also run Chinese software. At the end of 2018, one of our service engineers will tour China to install Chinese software and update previously delivered machines that are equipped with the eControl+ panel. The expansion of our network and the availability of Chinese software for the eControl+ panel will significantly boost further growth in the Chinese market. To stimulate growth even further, we intend to roll out a broad marketing support strategy in the near future, including participation in trade fairs together with our Chinese partners.If you would like more information, please contact our sales department in Tilburg.